It's a Mom Thing Reviews & More! : Encourage STEM with Roominate! If you have been following this blog for a while now you probably know that I am kind of a STEM freak, haha. My daughter, Mia, is almost seven and has been obsessed with science and math since she was old enough to talk. She has also been saying that she wants to be a doctor or engineer for as long as I can remember. 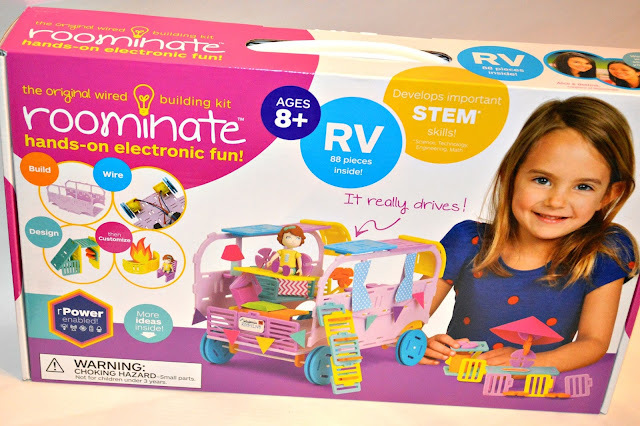 Having a little girl who loves STEM is wonderful, but unfortunately not many products aim to encourage girls interested in these concepts; Roominate has helped to change that. Roominate is a company working to close the gender gap of women in STEM fields. Their products aim to develop spatial skills, hands on problem solving skills, and confidence with technology in children, especially girls. Mia has a few products from Roominate and loves them! I will never forget the first that she played with. She made a spinning fan in one of the rooms that she made and was so thrilled and impressed with herself. I was amazed at the different STEM concepts Roominate helped her to learn. We recently got to check out the the Roominate RV and let me tell you, it is so cool! 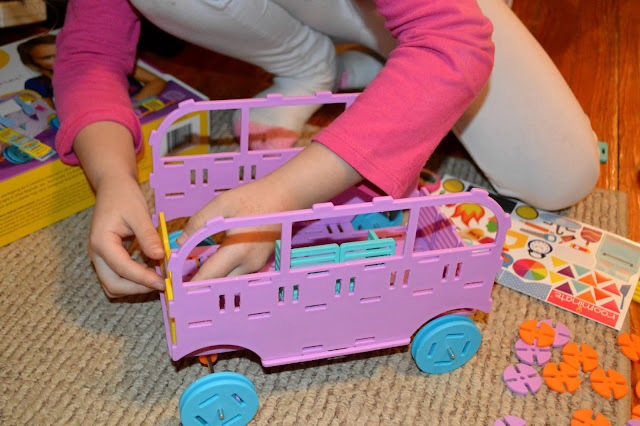 Children are able to build and customize this house on wheels using the pieced included in the set. Along with this set you also receive motors so that the RV can actually drive! 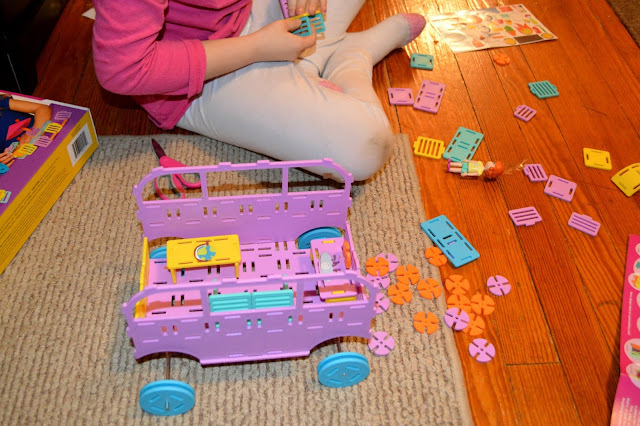 In each box you receive the RV sides, 40 furniture building pieces, connectors, wheels, axles, an Emma doll, and more! All of the pieces make it possible for children to design furniture as they wish so that the RV is their own personal creation! My daughter Mia loved being able to make her furniture and use the included stickers to decorate however she wanted. I love that not only does this set help to teach STEM concepts such as wheel and axle and mechanical engineering but it also allowed her to use her imagination! She played with this set for hours. She has two other Roominate sets so she loved using them together. Roominate products will make the perfect gift for any STEM lovers on your holiday shopping list! The will love learning STEM concepts and watching their creations come together!